If you have chosen to have the vegan diet, you ought to be more particular about where you dine. Thankfully, there are now a lot of options when it comes to eating out and at the same time, still able to stick to your vegan diet. You don’t need to miss on the convenience of fast food because there are a lot of vegetarian fast food options for you to try. While it takes some research and a bit of effort to make extra sure you only get the vegetable and vegan-friendly goodness on your fast food plate, knowing more about vegan fast food options is something which can help you enjoy more of the dining options you have out of your home. Wendy’s is a great place for vegans looking for convenient meals that meet their diet preferences. If you love your fresh greens, you can get a salad and skip the mayonnaise or other dressings to trim down the carbs and fat. You can go for the red Italian dressing for a great flavor instead. 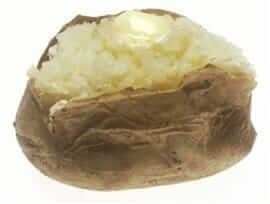 For a heavier meal which can keep you fuller for longer, order a plain baked potato! While you may fear that everything from Taco Bell is loaded with meat, you can still enjoy their tacos by having beans instead! Simply say you want to replace the meat filling with beans and you’re good to go. You can make your meal heavier by requesting for extra veggies in your burrito. Another extra tip when dining in Taco Bell, order your burrito Fresco style so that they will place some pico de gallo instead of cheese on what you order. Although known for having meaty burgers that are packed with the traditional burger goodness, Burger King has also adapted to the changing times by having their own offering for those who have decided to take the vegetarian diet. 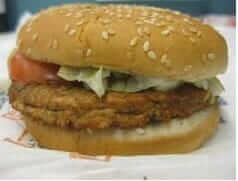 Their Veggie Burger is the best option you have for when you decide to grab a burger from Burger King. Match it with some fries and water or fruit juice and you’re good to go with a healthy vegan meal! If you’re a fan of Chipotle, you’re in luck because they have their veggie fajita and burritos which has onions and fresh grilled peppers to satisfy your veggie cravings. What’s great is that this veggie option along with the other ones is also cheaper than the ones filled with meat! When you order these from Chipotle, you even get free guacamole! You can enjoy their $5 Hot and Ready Pizza with just plain cheese or order some of their vegetarian cheese-less pizza if you prefer. You’ll discover that the pizza dough made by Little Caesars is vegetarian-friendly and this is something that other pizza chains do not offer. Although they have a lot of meat-filled subs which are sure to make your mouth water, Subway is one of the places you would want to check out for vegetarian fast food options. 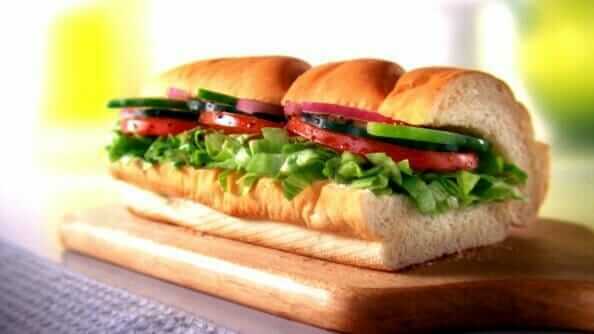 Choose their Veggie Delight which is cheap at just $5 for a foot-long sub. To make your order even better you can choose Italian bread and reduce calories by not having mayo or cheese on it. There are fast food places who fry their vegan dishes in the same oil they use for frying meat but according to PETA, Carl’s Jr. is a place where vegetarians can rest assured that what they are ordering is fried in a different vat. Their hash brown nuggets, French fries, CrissCuts, English muffins, and breadsticks are all safe for you! If you enjoy Mexican food, try out the Mexican Gumbo from Qdoba. Enjoy the combination of beans, tortilla soup, cilantro-lime rice, tortilla strips, veggies, and beans. While tortilla soup is usually made from some chicken stock, this entry from Qdoba is surprisingly one of the vegetarian fast food options you have. While “dairy” may scare you off, you can try their dairy-free slushies or see their vegan ice cream bar which they call Star Kiss at some selected locations. 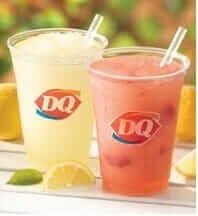 For more vegetarian fast food options, check out this link. Hip City Veg in Philadelphia – They have products which are served fresh, fast, and with a guarantee that they are all 100% plant-based. They have salads, sweet potato fries which are actually healthier than regular French fries, and sandwiches to curb your appetite the vegan way. Evolution Fast Food in San Diego – Enjoy vegan burgers, fries, and organic shakes and juices from this hip vegan destination. Elevation Burger – This burger chain may be something you see around more often. They have veggie burgers which taste more like traditional burgers and others which have the more vegetable-like taste. Remember to skip on the toppings such as cheese, mayo, and dressings when you head out to make the meal you order healthier. You can also just drink water or fruit juices for a more refreshing but healthier approach! If you keep these menu items in mind, you wouldn’t have to feel denied of great food when you go outside. Next time you head out, order these items and have a satisfying meal which you know stays within your vegetarian limitations!